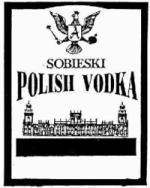 On 1 March 1994, the company France-Euro Agro applied to the Polish Patent Office for the registration of the word trade mark SOBIESKI Z-130304 for goods in Class 33 such as alcoholic beverages except beer. 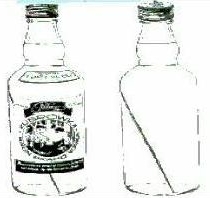 In its decision of March 1997, the PPO refused to register the applied trade mark because of the similarity with the word-figurative trade mark A SOBIESKI POLISH VODKA R-85456 that was registered with the earlier priority for the same goods in Class 33. This trade mark is currently owned by BELVEDERE S.A. France-Euro Agro withdrew its request for re-examination of the case. However, on December 2005, BELVEDERE requested the PPO to repeal the refusal based on the provisions of Article 154 § 1 of the Administrative Proceedings Code – APC – (in Polish: Kodeks postępowania administracyjnego) of 14 June 1960, published in Journal of Laws (Dziennik Ustaw) No 30, item 168, consolidated text of 9 October 2000, Journal of Laws (Dziennik Ustaw) No 98, item 1071 with subsequent amendments. A final decision, on the basis of which none of the parties acquired any rights, may be at any time repealed or amended by the public administration authority which issued the decision or by the authority of higher level if it is justified by the public interest or fair interest of the party. The Company noted that the risk of misleading potential consumers has been eliminated as the owner of both trade marks is now the same entity. BELVEDERE argued also that the PPO does not respect the constitutional rule of law and equal treatment of entities in the application of law, because it has registered three word-figurative trade marks Jan III Sobieski SJ for BRITISH AMERICAN TOBACCO POLSKA TRADING Sp. z o.o., despite the existence of the earlier right of protection for the trade mark A SOBIESKI POLISH VODKA R-85456. The PPO refused to repeal the decision of 1997. The PPO emphasized that decisions taken in such proceedings are discretionary, which means that the PPO examines, whether in the particular situation, the public interest or the fair interests of a party is in favor of the repeal of the final decision. The requirements of public interest or the interests of the parties must be assessed on an individual case and must receive individualized content, resulting from the factual and legal issues. The interest of the party should be “fair” within the objective meaning i.e. it has to be justified by circumstances of the case and accepted under applicable law, also from the standpoint of public interest. According to Polish legal doctrine, the term “public interest” is not defined by the law, and the content of this concept is given by the adjudicating body. The scope of the discretion of the administrative body during the recognition of such issues is limited, for instance by the existence of general principles of administrative proceedings, such as the public interest and fair interest of citizens. The fair interests of citizens is not only deemed as the interest of parties involved in this particular case, but also the interests of other parties to the proceedings before the Patent Office, in this case those who have applied for trade marks after the refusal of March 1997. By withdrawing the request for re-examination of the matter, France-Euro Agro waived its right to appeal, which led to the ultimate end of the proceedings and allowed other entities to apply for trade mark protection. BELVEDERE filed a complaint against this decision. The Voivodeship Administrative Court in Warsaw in its judgment of 7 December 2011 case file VI SA/Wa 1239/11 dismissed it and held that the proceedings to repeal the final decision should not be regarded as a retrial of the case. The Court held that both the institution of proceedings de novo, as well as the repeal of the final decision, are procedures used to verify the faulty decisions, that allows for setting the decision aside, in the situations specified by law, despite its finality. Given the exceptional nature of these procedures, they cannot be abused by a broad interpretation of the conditions of admissibility of their application. The overriding principle is to guarantee the sustainability of the final administrative decision. The Court agreed with the PPO that BELVEDERE could file requests for the invalidation of the rights of protection for trade marks JAN III SOBIESKI JS. Categories: Art. 154 § 1 APC | Art. 2 Constitution | Art. 315 IPL | Art. 32 Constitution | Art. 9(1)(i) TMA | letter of consent | Polish Act on Industrial Property Law | Polish Act on Trade marks | Polish Administrative Proceedings Code | Polish Constitution | similarity of goods | similarity of signs | trade mark refusal | trademark law | Voivodeship Administrative Court. The Voivodeship Administrative Court in its judgment of 21 May 2010 case file VI SA/Wa 173/10 held that the statutory condition for the lapse of the right of protection is intended to eliminate the rights of protection granted to those signs that are not actually used in trade. The grant of the protection for a trademark is associated with the statutory obligation of genuine use of the mark for goods and services for which the trade mark is registered. It cannot be used symbolically, only to maintain the rights of registration. 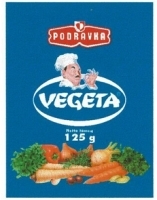 This case concerned the proceedings on lapse of the right of protection for “transpak gotuj ze smakiem” R-129729 trade Mark owned by Grajewski Zbigniew, Przedsiębiorstwo Produkcyjno-Usługowo-Handlowe TRANSPAK from Puszczykowo. Categories: Art. 107 §3 APC | Art. 154 IPL | Art. 169(1)(i) IPL | Art. 20 Constitution | Art. 22 Constitution | Art. 256 IPL | Art. 315 IPL | Art. 77 APC | Art. 80 APC | genuine use | Polish Act on Industrial Property Law | Polish Administrative Proceedings Code | Polish Constitution | trade mark lapse | trademark law | Voivodeship Administrative Court. The Voivodeship Administrative Court in Warsaw in its judgment of 16 October 2008 case file VI SA/Wa 927/08 dismissed the complaint against the decision of the Polish Patent Office on the refusal to decide on the lapse of the right of protection of GAP R-171132 and GAP R-171135 trade mark owned by GAP (ITM) INC. Przedsiębiorstwo Prywatne GAPPOL Marzena Porczyńska who was the applicant in the case before the PPO, filed a cassation complaint against this decision. The Supreme Administrative Court in its judgment of 15 October 2009 case file II GSK 156/09 dismissed the compliant and held that pursuant to Article 315(1) of the IPL, the provisions of the old Trade Marks ACT are used to assess the effects of legal events occurring during their validity, while the effects of legal events that occurred after 22 August 2001, should be assessed under the provisions of the IPL, also when they related to the existing rights. To assess the effects of the expiry of the period/deadline that was required for recognizing the request to decide on the lapse of the right of protection as effective – if such a request was made after 22 August 2001, the provisions of the IPL should be used. The Court held that in favor to adopt the date of issuance of the decision granting a right of protection as the starting point of the five-year period referred to in Article 169(1)(i) of the IPL, speaks the literal interpretation of this provision. (i) on failure to put to genuine use of the registered trademark for the goods covered by the registration for a period of five successive years after a decision on the grant of a right of protection has been taken, unless serious reasons of non-use thereof exist. The SAC reached such conclusions because the “registered trademark” as referred to in this article, appears only after the decision in the matter was issued, and not on the date of filing a trade mark application. Categories: Art. 169(1)(i) IPL | Art. 315 IPL | Polish Act on Industrial Property Law | Polish Supreme Administrative Court | similarity of goods | similarity of signs | trade mark invalidation | Voivodeship Administrative Court. The Voivodeship Administrative Court in its judgment of 27 May 2009 case file VI SA/Wa 2279/08 ruled that the Polish Patent Office is not an authority that mechanically approves patents granted by the EPO. The Court held that if the dispute between the applicant and the Polish Patent Office related to the nature of the invention, as is was in this case, by refusing to grant a patent, the Patent Office in principle cannot merely on its own conviction as to the subject of the patent application. The PPO should seek to gather sufficient evidence to support its position. Such evidence could include witness-expert testimony. The absence of a comprehensive hearing of evidence and basing the questioned decisions mostly on its own belief in the recognition, what is the subject of the patent application, and such a situation took place in this case, justified the infringement of Articles 7, 77 § 1 and Article 107 § 3 of the APC, as having a significant impact on the outcome of the case. Public administration bodies shall uphold the rule of law during proceedings and shall take all necessary steps to clarify the facts of a case and to resolve it, having regard to the public interest and the legitimate interests of members of the public. § 1. The public administration body is required to comprehensively collect and examine all evidential material. § 2. At each stage of proceedings a body can amend, supplement or withdraw rulings made regarding the examination of evidence. § 3. An body conducting proceedings as a result of having been required to do so by the body having jurisdiction to settle the case (Article 52) may, on an ex officio basis or on application by one of the parties, hear new witnesses or experts on circumstances that form the objects of such proceedings. § 4. Universally accepted facts and facts known to the body ex officio do not require proof. Parties to proceedings should be informed of facts that are known to the body. § 1. A decision should contain: the name of the public administration body, the date of issue, the name(s) of the party or parties, the legal authority referred to, a ruling, a factual and legal justification, an advisory notice as to whether and how an appeal may be brought and the signature, name and position of the person authorised to issue the decision. Any decision which may be challenged by a petition to the civil court or a complaint to the administrative court should contain an advisory notice that such a petition or complaint may be brought. § 2. Other regulations may contain other elements which a decision should contain. § 3. The factual justification of the decision should contain the facts that the body regards as proven, the evidence relied upon and the reasons for which other evidence has been treated as not authentic and without probative force. The legal justification should contain the legal authority for the decision with reference to the relevant law. § 4. If the decision fully reflects the demands of the party then there is no need to provide a justification for the decision, but this does not apply to decisions in contentious cases and decisions given on appeal. § 5. A body can also dispense with a justification of a decision in such cases if under current statutory regulations there is a possibility of dispensing with or limiting the justification because of the interests of State security or public order. The Court ruled that the PPO should make a thorough analysis of the concept of “technical character of the invention” and should indicate why it interprets it very narrowly, taking in this respect the view of the EPO. The PPO should also consider whether the European patent has been granted for the same solution, and examine the merits of different assessment of the invention in Poland. During the re-hearing of the case the PPO will will take the position whether the applied solution has been sufficiently disclosed, and if so, only then will further examine its patentability, given that one of the elements of assessing the patentability of the invention is a technical solutions. Due to the lack of legal definition of a “solution of a technical nature” in assessing a technical nature of the present invention the PPO is obliged to indicate what in the opinion of the PPO is deemed as “technical solution”. The PPO will assess the technical nature of the claimed invention and will refer to the applicant’s arguments, if the interpretation of that concept made by the PPO would continue to differ on how this concept is understood to the applicant. Categories: Art. 107 §3 APC | Art. 24 IPL | Art. 245 IPL | Art. 315 IPL | Art. 7 APC | Art. 77 APC | computer law | e-law issues | free or libre and open source software | patent law | patentable subject matter | Polish Act on Industrial Property Law | Polish law | Voivodeship Administrative Court. The Voivodeship Administrative Court in its judgment of 8 April 2009 case file VI SA/Wa 2258/08 anulled the Polish Patent Office’s decision from 2007 and ordered the PPO to reconsider the invalidation of the brothers’ Miś trade mark. The Court ruled that a company name (the firm) serves to identify and to individualize an entrepreneur in legal and business market turnover, containing information about the characteristics and attributes of someone’s business. The finding that there was an infringement of these elements determines the recognition that there was an infringement of the law. However, infringement cannot be determined by the trade mark registration (even the later one) that was similar to the company name. The Supreme Administrative Court in its judgment of 6 October 2008 case file II GSK 406/08 ordered the VAC to reconsider the case. See “Trade mark law, case II GSK 406/08“. As the Supreme Administrative Court ruled in its judgment of 26 April 2006 case file II GSK 31/06, the exclusive rights to the “firm” (company name) are not absolute, and the limits of its extent are set by the territory a firm operates, the subject of actual business activities of the company that is using given firm. In fact, only within these limits a conflict between similar company name (the firm) and trade mark may occur. The Court, citing the earlier judgment of the Voivodeship Administrative Court in Warsaw of case file 6 II SA 2757/02, ruled that the PPO had to consider if the registration of a disputed trade mark prevents other market participants from use a sign which has a purely informational meaning. Categories: Art. 315 IPL | Art. 8(2) TMA | company name or firm | personal rights or interests | Polish Act on Industrial Property Law | Polish Act on Trade marks | Polish Supreme Administrative Court | trade mark invalidation | Voivodeship Administrative Court. Mr. Wendler-Rothenberger claimed that he had business relationships with the Polish company in the period from 1992 to 1996. In PPO’s opinion it had been proved that Polish company was fully aware of the fact that OFF THE LIP sign belongs to another entity, and such action of submitting someone’s else trade mark for registration in the Republic of Poland was contrary to the principles of good conduct in trade. 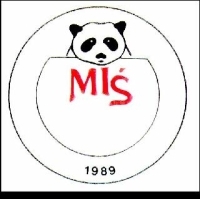 The Polish company brought a complaint against this decision. The Voivodeship Administrative Court in Warsaw in its judgment of 24 January 2008, act signature VI SA/Wa 1394/07 dismissed it, and ruled that all procedural matters have been sufficiently and thoroughly investigated and determined by the Polish Patent Office. The Court acknowledged that, from the beginning, the Polish company knew that OFF THE LIP sign was somebody else’s property — that of its contractor and business partner. In the court’s assessment it was a classic example of bad faith, since PREMIERE was aware that it does not have the right to this sign and even if it could not be aware – it should have known about that. PREMIERE Sp. z o.o. filed a cassation complaint. The Supreme Administrative Court in its judgment of 12 March 2009 case file II GSK 764/08 rejected the complaint and ruled that the provision of article 8(1) of the TMA provides an independent and sufficient condition for the inadmissibility of the registration of a sign, and it’s in any way unrelated to the exclusive protection of marks registered and benefiting from protection in a given country. The SAC clearly held that filing a trade mark application of someone else’s sign when a special relationship of trust existed between parties of a contract, is a classic example of behaviour contrary to the principles of social coexistence. Categories: Art. 246 IPL | Art. 315 IPL | Art. 8(1) TMA | bad faith | Polish Act on Industrial Property Law | Polish Act on Trade marks | Polish courts | Polish law | Polish Patent Office | Polish Supreme Administrative Court | trade mark invalidation | trademark law | Voivodeship Administrative Court. The Company Valentino filed a notice of opposition to a final decision of the Polish Patent Office on the grant of the right of protection for Valentino R-137628 trade mark that was registered in Classes 35, 39 for Orzechowski Wiesław Firma ASTRO from Gdynia. Valentino argued that Astro infringed on the principles of social coexistence, as it sought to use the reputation of the trademarks and trade names owned by Valentino. Granting the right of protection, thus placing on the same field of economic activity a very similar trade mark would threaten the interests of Valentino, and it would be also contrary to the institution of a trade mark. The PPO dismissed the opposition and ruled that Valentino did not prove the reputation of its trade marks and due to the different classes there is no risk of consumers confusion, however the goods and services are complementary. The PPO noted also that the questioned trade mark differs from these owned by Valentino because elements such as V, Val, or Zone are exposed which makes them the dominant elements in these trade marsk, and they attract the attention of the public, turning their attention from the less visible Valentino word. Valentino filed a complaint against this decision. The Voivodeship Administrative Court in its judgment of 8 November 2005 case file VI SA/Wa 845/05 overturned the decision and held it unenforceable. 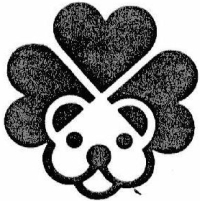 The VAC ruled that the most visible element in all trade marks in this case is the word Valentino, and verbal elements have the dominant position. The Court also noted that reputation of a trade mark is not dependent on the borders of individual countries or regions. The PPO should examine the evidence submitted by Valentino and it should assess the impact of the existence of a foreign reputed trade mark for its operation in Poland because Valentino could be uninterested of its expansion into the Polish territory, and in the situation if it were interested it could be overtaken by unauthorized entry. The Court agreed also that there was an infringement of the company name. Categories: Art. 10 TMA | Art. 107 §1 APC | Art. 107 §3 APC | Art. 256 IPL | Art. 315 IPL | Art. 7 APC | Art. 77 APC | Art. 8(1) TMA | Art. 8(2) TMA | Art. 80 APC | Art. 9(1)(i) TMA | famous trade marks | Polish Act on Industrial Property Law | Polish Act on Trade marks | Polish Administrative Proceedings Code | Polish courts | Polish Patent Office | reputed trade marks | trade mark examination | trade mark opposition | trademark law | Voivodeship Administrative Court. By decision of 11 August 2005, the Patent Office refused to grant a right of protection for word-figurative “R-Profit” Z-234207 trade mark applied for by Raiffeisen Bank Polska S.A. for goods in Class 36 such as banking services for small and medium enterprises. The Patent Office concluded after examination proceedings that this sign may not be registered because it is similar to PROFIT R-87400 trade mark, registered for Bank Polska Kasa Opieki SA, with priority of 3 November 1993 for goods in Class 36 such as management of interest bearing money investments in zlotys. The PPO also stated that, in this case, the issue of services could not be challenged, since both signs are designed for the same services to a wide audience, i.e. banking services. The PPO ruled that both signs cannot exist simultaneously in trade without the risk of consumers confusions. In the opinion of the PPO there was no doubt that the trade marks are also similar phonetically and semantically. The Voivodeship Administrative Court in Warsaw in its judgment of 11 May 2006 case file VI SA/Wa 542/06 dismissed the complaint filed by Raiffeisen Bank Polska S.A. and noted at the beggining that Article 315(1)(3) of the IPL, expresses the principle that the issue of the registrability of signs that were registered or applied for registration before 22 August 2001, is assessed on the basis of existing regulations. therefore the provisions of the Act of 31 January 1985 on trade marks are the basis for assessing the registrability of R-Profit trade mark, because it was applied for registration on 10 April 2001. 1. Rights conferred in respect of inventions, utility models, ornamental designs, topographies of integrated circuits, trademarks and rationalisation projects, existing at the time of entry into force of this Law, shall remain effective. To these rights the previous provisions are applicable, unless the provisions of this Part stipulate otherwise. 2. Legal relationships established prior to the entry into force of this Law shall continue to be governed by the previous provisions. 3. Statutory requirements for the grant of a patent, a right of protection or a right in registration shall be assessed under the provisions effective at a date of filing of an application concerning an invention, a utility model, a trademark or topography of an integrated circuit with the Patent Office. However, the provision of Article 37(2) shall apply to patent and utility model applications pending at the date of entry into force of this Law. In the opinion of the VAC that this case involved the same type of services. The Court agreed with the analysis of the list of services performed by the PPO that there exists homogenity of services between in both lists of goods. In the opinion of the Court, the PPO has properly analyzed the similarity of “R-Profit” and opposing “Profit” signs. Both signs should be compared in aural conceptual and phonetic aspects, bearing in mind that “R-Profit” is a word-figurative trade mark. According to the VAC, even though this case concenrs word and word-figurative trade marks, one may say that there exists graphic similarity, as “R-Profit” and “Profit” differ only by the letter “R” and the core of the two characters – “Profit” is identical. The VAC ruled that the argument that services in question have different distribution channels does not preclude the likelihood of confusion, because an average consumer may think that the service is derived from an entity that combines the organizational relationship and legal rights with the owner of “Profit” trade mark. Raiffeisen Bank Polska S.A. filed a cassation complaint. The Supreme Administrative Court in its judgment of 20 February 2007 case file II GSK 269/06 dissmised the case. The SAC held that the comparison of signs should be based on the general, overall impression, which compared trade marks have on the recipient, and thus if the dominant element in both signs are their common elements, there is a similarity between trade marks that is posing a risk of consumers confusion. Categories: Art. 184 PBAC | Art. 315 IPL | Art. 9(1)(i) TMA | homogenity of goods | Polish Supreme Administrative Court | similarity of services | similarity of signs | trade mark examination | trade mark refusal.